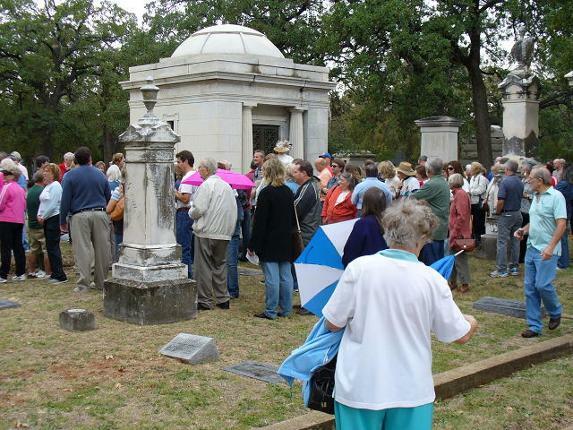 The 1st Annual Oakwood Tour was a joint fund raising effort of the North Fort Worth Historical Society and the Oakwood Cemetery Association. The unanticipated crowds almost overwhelmed the volunteers but everything worked out well with everyone having a great time. 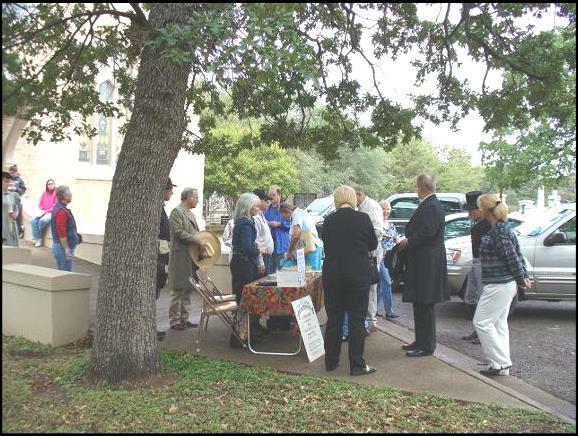 Local Historian Quentin McGown led the two tours around the grounds where the spectators were met by costumed actors recreating the life and times of historic Fort Worth residents from the site of their last resting place. Second group waiting for the Chapel Tour to begin. 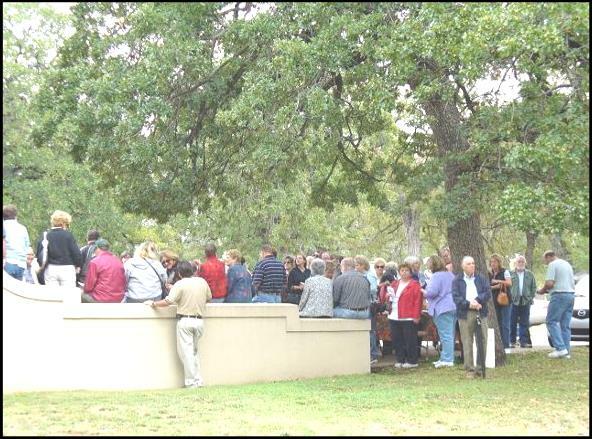 The large crowds made it necessary to double the Chapel groups for each tour. The snapshots above give only a partial view of everything that went on. Not nearly all the actors or volunteers that made the 2006 Tour possible are shown. A lot of hard work by a lot of people made this happen.